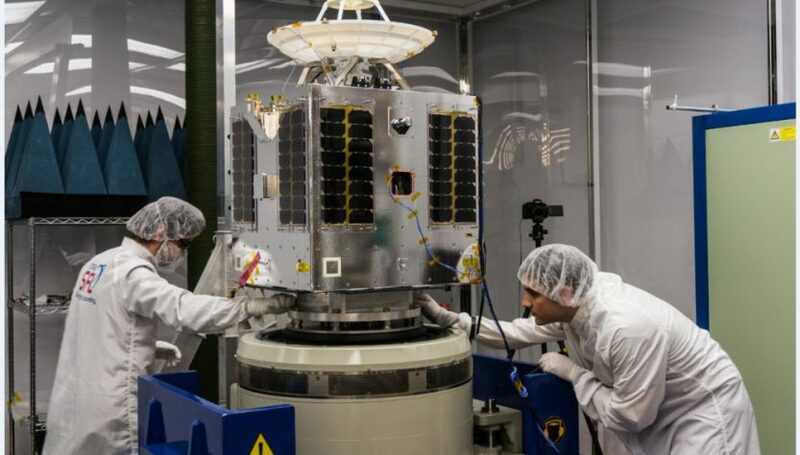 Earlier this week, Telesat announced it signed a contract with Thales Alenia Space and Maxar to further develop the system design for the carrier’s LEO broadband constellation. A day later, it announced Airbus would also develop and submit a plan and costing to manufacture Telesat’s LEO satellites and ground system infrastructure. By essentially bidding out the project to two different groups, Telesat will be able to push to get the most out of its LEO constellation in engineering and price to build. Telesat expected to decide on a prime contractor by mid-2019 for its constellation of 117 Ka-band communications satellites. Estimates on similar LEO constellations run around $3.5 billion, but LeoSat plans to launch less satellites while OneWeb will put over 900 into orbit for its network. Both teams bring advantages to the table. Thales Alenia Space built over 90 satellites for the Iridium NEXT constellation and Maxar’s Canadian presence could prove attractive to the Canadian-based and owned Telesat. Airbus has a shiny new satellite factory in Florida able to crank out up to 3 satellites per day for OneWeb, but the company has made it known the production line is open for business above and beyond the OneWeb communication satellites. The question for Airbus is if it will offer a variation of the OneWeb satellite bus to Telesat for efficiency’s sake or would it be able to build and produce a more customized version. Telesat expects to have a larger, more complex satellite than the OneWeb design. There’s also the issue that OneWeb and Telesat could be considered competitors, with OneWeb getting priority for its hardware over others. OneWeb plans to launch its first 10 satellites by the end of this year with an initial service launch in 2019. Telesat expects to have “global coverage” by 2022, so in theory its satellites could go into hardware production around the time OneWeb’s first generation of satellites are being completed.